Yes, you can get a room in central Tokyo for less than US$100 per night! Here are the best Tokyo hotels in the budget category, all personally inspected. A budget hotel in Tokyo costs Y12,000 (US$105) or less for a single, twin or double. In some seasons, you might pay a bit more or less. 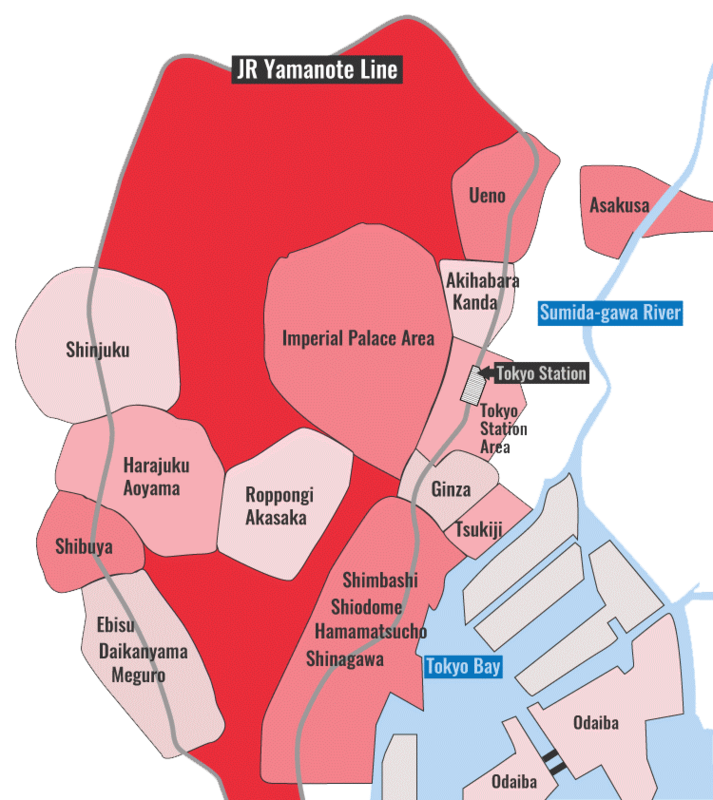 Most budget hotels in Tokyo are located away from the city center, in less fashionable neighborhoods like Asakusa and Ueno. But, you can even find good budget hotels in hot spots like Roppongi and Ginza. Here are my favorite budget hotels in the city, based on price, quality, location and service. Be sure to check my Where to Stay in Tokyo page before deciding where to stay. These are listed in order of preference. 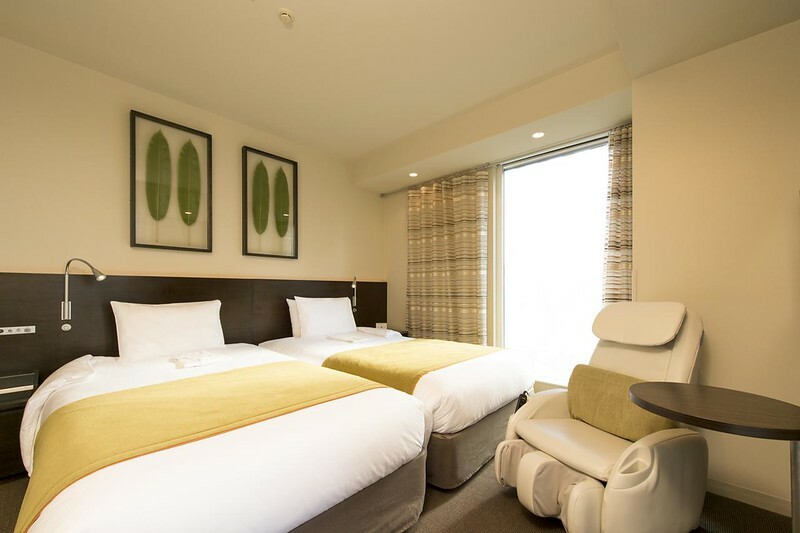 With a great location convenient to Ginza and Tokyo Station, in-room massage chairs, a Café Muji restaurant, and rates from budget to moderate, this is one of the best hotel deals in the city. With a great location, just steps from Ueno Station, a full no-smoking policy, excellent family rooms and a friendly staff, this hotel is a winner. There aren’t many good budget hotels in sought-after Shinjuku, but this is one of them. It’s a bit of walk to the station, but you’re next to a subway station that will get you there in a minute or so. It’s a very well run and efficient business hotel. With a super-convenient Akihabara location, good simple rooms, and rates from budget to moderate, this hotel is a great value. Located right in the heart of Asakusa, this stylish business hotel is a step up from others in its class. It’s the perfect location for exploring Asakusa and Ueno. This ryokan-style hotel offers comfy rooms and nice views of the river from the lounge. The prices hover on the border of budget and moderate. Up in Asakusa, this simple, convenient business hotel is reasonably comfortable and the rates are super cheap. With a sento, free ramen, coin washing machines and super-reasonable budget rates, this hotel is a great value. This very simple business hotel is in Kanda, which is one stop north of Tokyo Station. Kanda itself is packed with restaurants. This is one of the cheapest decent hotels within walking distance of Tokyo Station. It’s a standard business hotel with rates that hover on the border of budget and moderate. Here are some more good budget hotels, also listed in order of preference. You’ll note that most of these are in slightly inconvenient areas. You save some money by staying in such areas, but think carefully if the savings is worth the inconvenience (and factor in travel costs). Read my Where to Stay in Tokyo page for more details on this. A good hotel with rates on the border of budget and moderate, and a good location. It’s a good value. A relatively convenient location, within walking distance of Akihabara Station, and rock-bottom rates. A very simple business hotel in a decent Ochanomizu location. Rates among the cheapest in town. A simple and convenient business hotel at north end of Asakusa. Some of the cheapest hotel rates in Tokyo. A little out of the way but a great value. It’s a nice hotel and it’s quite close to a subway station. Slighly out of the way, but a nice hotel with a vaguely European feeling. Super cheap, and a relatively convenient location in restaurant-packed Hamamatsucho. Not too far from Tokyo Station. A little out of the way, but clean and cheap. A good simple budget hotel in East Shinjuku. Accept only a room in the main building (the annex is getting a bit old).